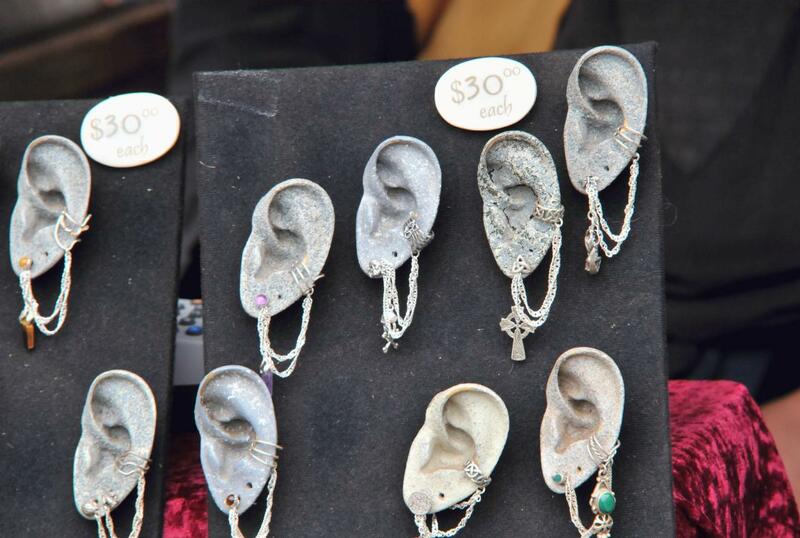 Ear ornaments were on display attached to plastic ears on a counter at the 2008 San Francisco Renaissance Fair. The ornaments sold for U.S. $30.00 each. 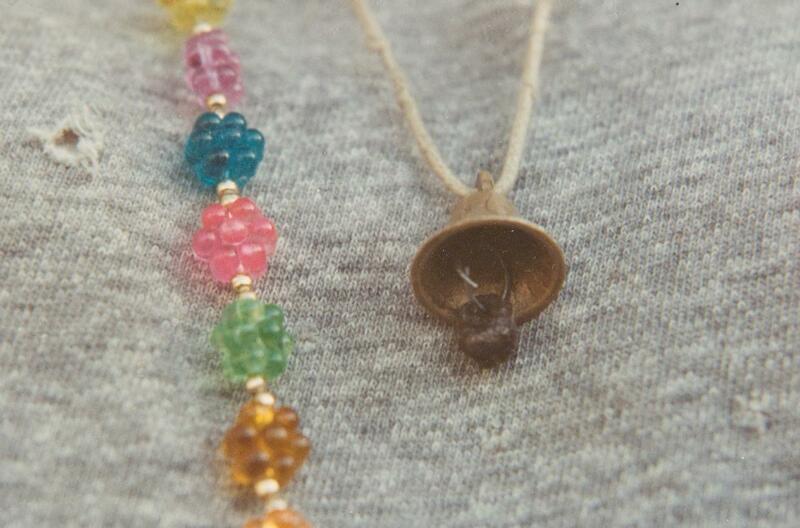 A bell on a string formed a necklace. It was worn over a gray sweatshirt and inside another necklace made up of small grape clusters.